Did someone say, most overplayed song of 2014? It's everyone's favourite song, from one of the biggest blockbuster hits of the year (originally by broadway sensation Idina Menzel). Have you noticed all the Kpop idols' covers creeping up on YouTube? Here is an ongoing compilation of all the Kpop covers so far. If you find new ones, feel free to comment and I'll add it in! 1. DIA from Kiss&Cry (New group). This is by far my favourite version: Beautiful vocals and technique, though a bit heavy on inhales. Kiss&Cry is going to get so much recognition for this cover!! 2. Obviously, Hyorin's official Korean version of the song. Hyolyn never fails to impress! Too bad they made her sing the toned down Demi Lovato version, I would love to hear her belting those high notes. 3. Ailee belted out a live version of "Let It Go" as well! 4. Lee Haeri from Davichi received attention for her studio version. 5. Lee Yu Bi's version... least favourite due to pitchiness, and lipsyncing. 7. Male version, Sungwon 성원 from A-Prince. What do you think? 8. Cover by Son Seung Yeon손승연. Powerful vocals, probably one of the best! 8. Kim Seung Ah, holy VOCALS girls! She sang to the piano version. I can't believe I didn't hear this earlier. 9. Holy moly, Kim Bo Hyung!! (From SPICA). 13. Breathtaking male version by 2BiC. Thanks Kai for submitting this! 15. Baek A-yeon's cover version, in studio! 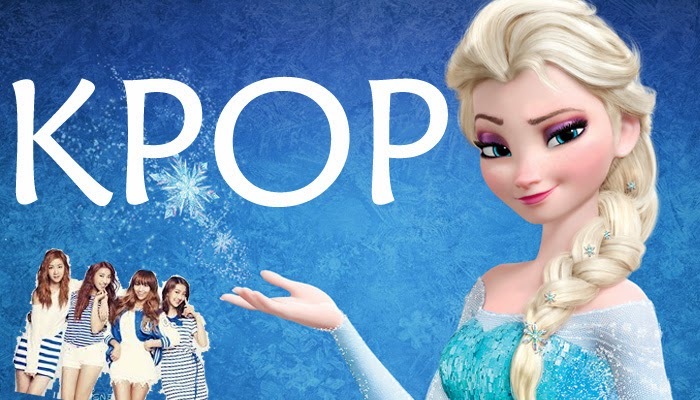 Elsa (Idina Menzel) + Kpop!